Check out this gorgeous drawing of Firehawk by Garrett Blair! I really like this drawing! 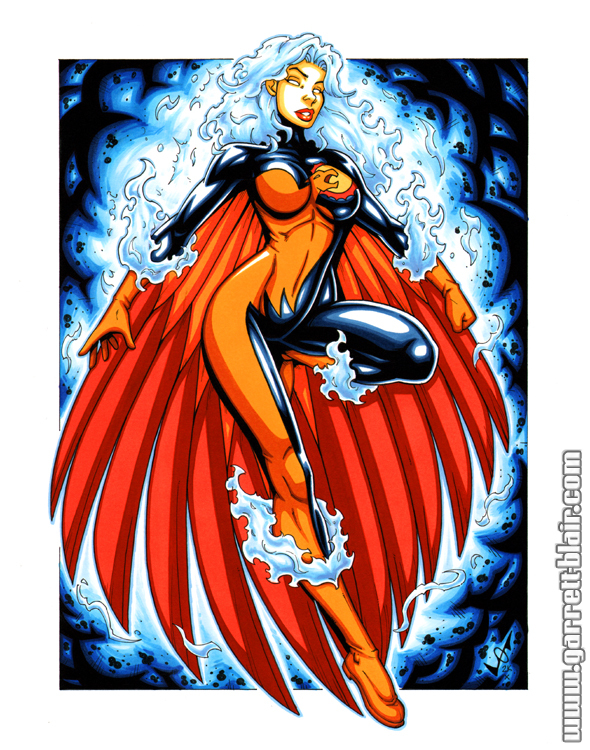 I’ve always loved this costume for Firehawk, and Garrett’s art gives it a new, modern lease on life. And the coloring on the hair is phenomenal! You can view this image on Garrett’s deviantART page by clicking here, and be sure to visit his website by clicking here. Also, be sure to come back tomorrow for the FIRESTORM FAN exclusive interview with John Ostrander! Wow. That does look amazing. the face could have been done a bit better but over all this is pretty good. the colors really pop! This reminds me of J. Scott Campbell’s style. Well done!